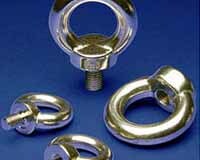 Duplex Steel 2205 Bolt, Super Duplex Nuts, Duplex Shoulder Nuts, ASTM A479 Duplex Nut, Super Duplex Bolt, Duplex Steel Bolt/Nut Suppliers and Exporters in Mumbai, India. 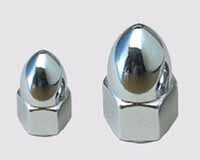 Super Duplex Coupling Nut Exporter, Duplex Bolt/Nut, Suppliers of ASTM A479 Super Duplex Steel 2507 Hex Head Bolt, Duplex Square Bolt/Nut Manufacturer in India. 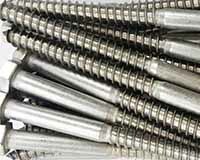 Ganpat Industrial Corporation is one of the well-known manufacturing unit and supplier of Duplex Steel (Bolts / Nuts), which always react more sensitively towards precipitation. 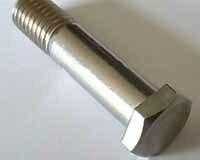 Duplex Hex Head Bolts should be ensured that the temperature range between 950 Degree C and 700 Degree C is traversed in no more than two minutes. 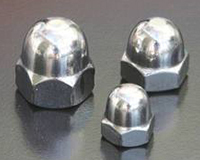 Due to the possibility that other undesired metallic phases could arise, these Duplex Hex Head Nuts is further cooling down to 300 Degree C and should be undertaken as quickly as possible. 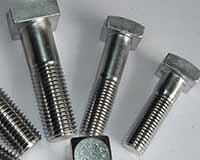 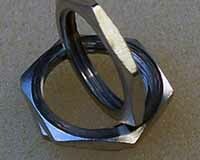 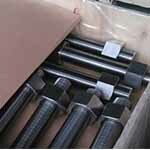 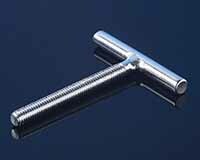 Duplex Square Bolts are also easy to weld according to the usual rules for welding stainless steels. 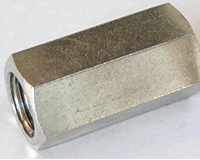 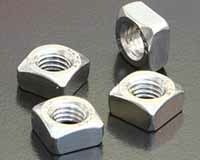 Extremely low and extremely high heat input should be avoided in these Duplex Square Nuts, depending on the seam geometry, the thickness of the steel and the welding process. 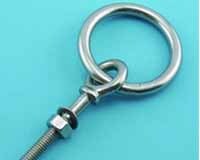 Therefore Duplex Eye Bolts is necessary to monitor inter – pass temperature and the heat input during the welding process. 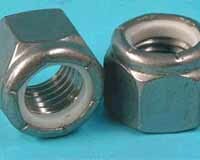 The safest way to a balanced ferrite / austenite ratio in the weld seam of these Duplex Eye Nuts is subsequent heat treatment, so-called solution annealing. 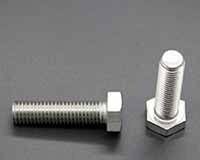 For Duplex T-Bolts, holding times of 2 minutes to 3 minutes for each mm of wall thickness at temperatures around 1080 Degree C are sufficient to achieve a balanced austenite / ferrite ratio. 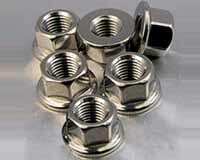 After annealing, cooling of these Duplex T-Nuts as rapidly as possible is advisable. 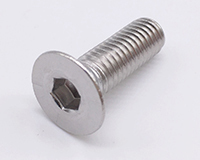 Duplex Lock Nut, Super Duplex T Bolt, Duplex Steel 2205 Panel Nut, Super Duplex wing Nut, Duplex Eye bolts, Super Duplex Steel 2507 Lag Bolt, A479 Duplex U Bolt, Super Duplex Counter sunk Bolt Manufacturer in Mumbai, India. 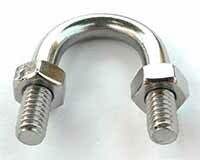 Calgary, Caracas, Hong Kong, Jakarta, Visakhapatnam, Nagpur, Secunderabad, New York, Dubai, Granada, Lagos, Kanpur, Vung Tau, Geoje-si, Faridabad, Haryana, Gimhae-si, Al Jubail, Chennai, Courbevoie, Thiruvananthapuram, London, Melbourne, Kuwait City, Madrid, Surat, Brisbane, Al Khobar, Doha, Petaling Jaya, Mumbai, Los Angeles, Istanbul, Riyadh, Sydney, Port-of-Spain, Singapore, Bengaluru, Ho Chi Minh City, Pune, Kolkata, Hanoi, Abu Dhabi, Indore, Dammam, Hyderabad, Colombo, Navi Mumbai, Edmonton, Nashik, Vadodara, Busan, Dallas, Ahmedabad, Toronto, Sharjah, Jaipur, Bangkok, Rajkot, Houston, Lahore, Noida, Algiers, Perth, Montreal, Rio de Janeiro, Ludhiana, Kuala Lumpur, Tehran, Thane, New Delhi, Ulsan, Howrah, Cairo, Gurgaon, Baroda, Jeddah, Santiago, Ranchi, Bhopal, Jamshedpur, Coimbatore, Atyrau, Seoul, Mexico City, Ankara, Chiyoda, Chandigarh, La Victoria, Karachi, Manama, Milan, Ernakulam, Bogota, Pimpri-Chinchwad, Muscat, Aberdeen, Ahvaz, Moscow. 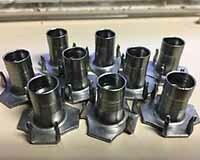 Belgium, Bulgaria, Norway, Kuwait, Azerbaijan, Taiwan, United Arab Emirates, Indonesia, Vietnam, Pakistan, Serbia, Ukraine, Netherlands, Costa Rica, India, Chile, Yemen, Oman, Gabon, Angola, Kenya, Macau, Mexico, Ghana, Russia, Turkey, Brazil, Lebanon, Mexico, Kazakhstan, Nepal, Japan, Italy, Finland, Croatia, Puerto Rico, Austria, United States, Malaysia, Colombia, Mongolia, Portugal, Libya, South Africa, Estonia, Peru, Bahrain, Switzerland, Ecuador, Denmark, Argentina, New Zealand, United Kingdom, Afghanistan, Belarus, Chile, Singapore, Israel, Bhutan, Germany, Venezuela, Egypt, France, Bolivia, Nigeria, Iraq, Poland, Hungary, Hong Kong, Jordan, Czech Republic, Namibia, South Korea, Thailand, Slovakia, China, Canada, Iran, Sri Lanka, Gambia, Poland, Bangladesh, Trinidad & Tobago,Tunisia, Ireland, Romania, Australia, Iran, Saudi Arabia, Philippines, Morocco, Spain, Greece, Qatar, Zimbabwe, Sweden, Algeria, Nigeria, Tibet, Lithuania.